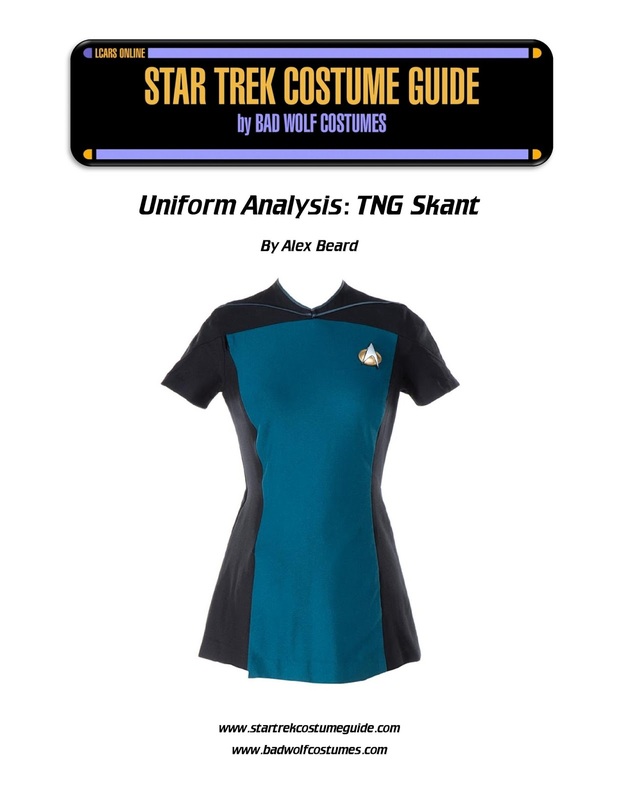 Star Trek Costume Guide: TNG skant analysis added! Part of this is a combination of me being an over-achiever, and the TNG jumpsuit project being sssoooo much more involved than I ever anticipated. Once it was finally finished, I needed a break from TNG, so I spent some time on 11th Doctor costumes. And in addition to Halloween and the holiday season generally being our busiest times of the year, I needed ankle surgery and have since been recovering. Nevertheless, we're back at it, continuing our journey through the TNG-era uniforms - this time with the (in)famous early TNG skants! For decades, awareness - and even fondness - of these costumes has endured, yet there's also been an air of mysticism around them ... particularly regarding the closure system ("How the hell do you get in and out of that thing?") and the lower interior construction. During my research, I was generously provided with the opportunity to examine an original, screen-used TNG skant - a very enlightening experience, and one I'm delighted to be able to share with you! Special thanks goes to Steve Barnes for making it possible. 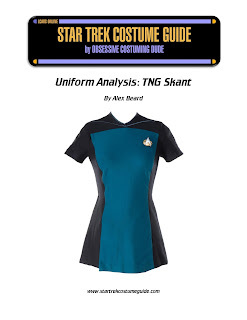 In this new costume analysis, we not only explore the TNG skant's short-lived niche in Star Trek history and its relationship to the other uniforms, but the construction of the skant itself - which, in my opinion, was bizarre. We also examine a few other interesting variations of the TNG skant; for instance, did you know that costume designer Robert Blackman actually changed William Ware Theiss' original design for The Next Generation's final episode? Read all about the TNG skants here, or simply click the "TNG" tab above and select the new skant option! I have loads more goodies for you over the coming weeks, so check back often and subscribe to my "Costume Guide" e-mail newsletter (upper right corner) for updates!